Because there’s not much flour in this batter, the crumb is chewy, sort of like a cross between a custard pie and a buttery cake. The cake is very thin but a good platform for the whipped cream and berries. If you really want to go old school, omit the berries and use 1-1/2 pounds of frozen mixed berries, thawed and drained. Spoon these soupy, soft berry bits over each slice of cake and whipped cream. 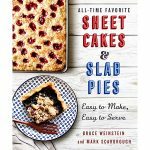 Excerpted from All-Time Favorite Sheet Cakes & Slab Pies by Bruce Weinstein and Mark Scarbrough. 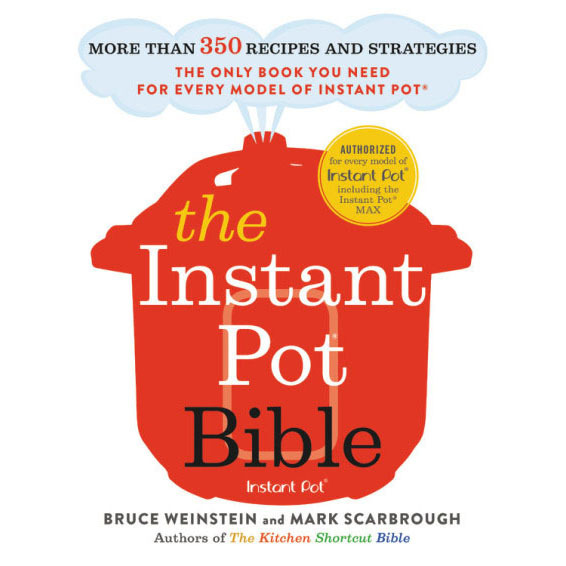 Published by St. Martin’s Press Copyright © 2017 by Bruce Weinstein and Mark Scarbrough. Photo © 2017 by Eric Medsker. Be sure to use a 13 x 18-inch sheet pan with a 1- to 1-1/2 inch lipped edge. This is called a "half-size sheet pan" or "half-sheet." Position the rack in the center of the oven. Heat the oven to 325°F. Generously butter the inside of a 13 x 18-inch lipped sheet pan. Using a handheld electric beater or a stand mixer with the paddle attachment, beat the butter and sugar in a large bowl at medium speed until soft, smooth, and velvety, about 5 minutes. Scrape down the inside of the bowl, then beat in the egg yolks one at a time. Beat in the ricotta, vanilla, and lemon extract until uniform and smooth. Add the flour and baking powder. Beat at low speed just until incorporated, no more than a few seconds. Using a handheld mixer with clean, dry beaters or a stand mixer with the whisk attachment, beat the egg whites and salt in a second large bowl at low speed until foamy, then at high speed until you can make soft peaks. Use a silicone spatula to fold the beaten egg whites into the batter, using gentle, smooth arcs to keep as much loft in the whites as possible. Scrape and spread the batter into the prepared pan. Bake until somewhat puffed, lightly browned at the edges and set, about 30 minutes. Cool in the pan on a wire rack to room temperature, about 2 hours. 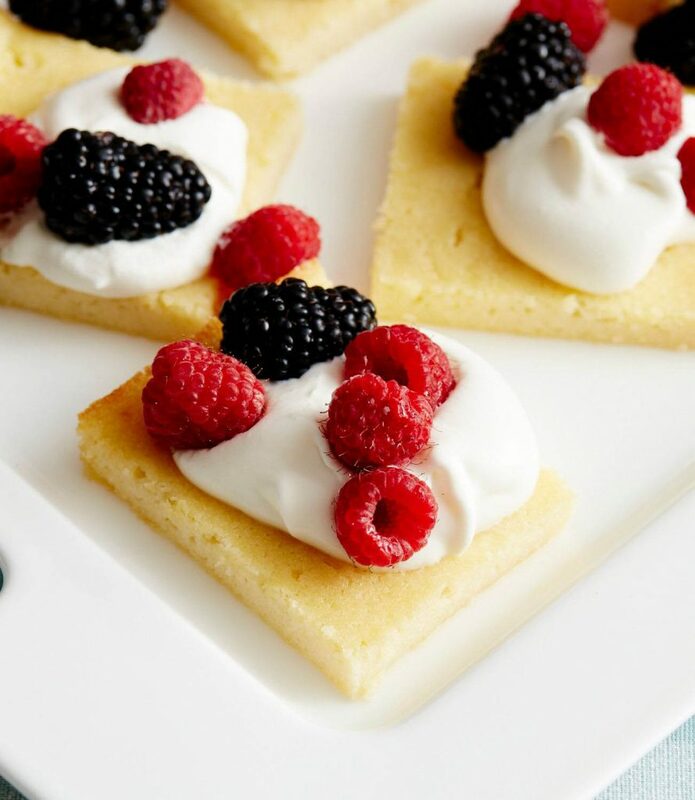 Slice the cake into squares or rectangles and transfer these to serving plates or a platter. 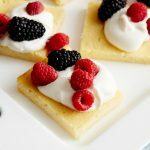 Dollop each serving with the whipped cream and top with berries.